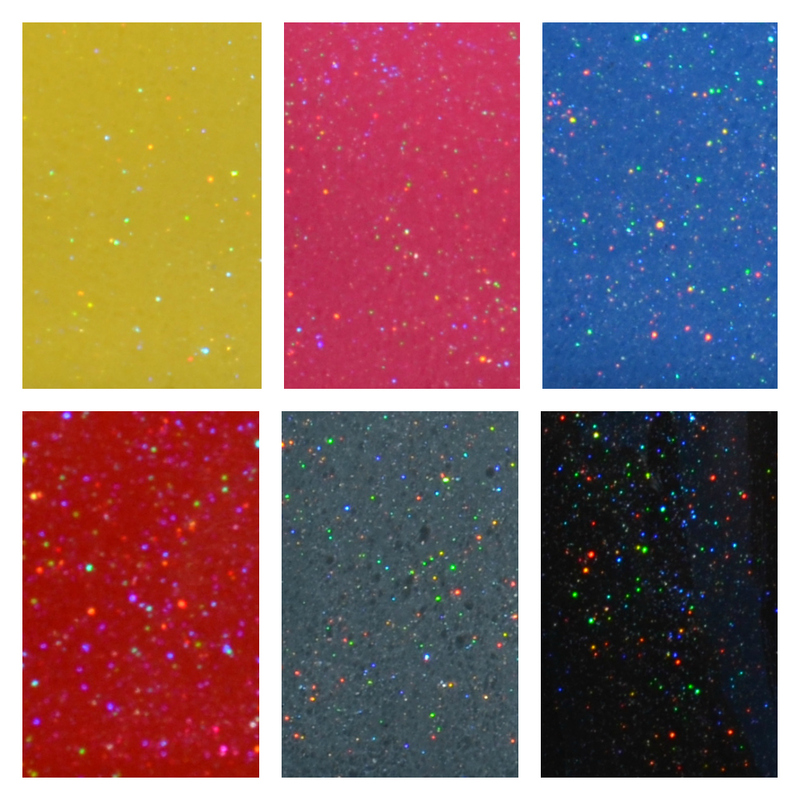 It is once again my pleasure to bring you the next collection by Firecracker Lacquer. This collection consists of five gorgeous holos all inspired by animals. The sixth holo, Penguin Parade will be joining this collection from the Meet Your Maker collection. If you missed that review, you can check it out here. The whole collection will be available on Friday, August 8th. In addition to the release of the Captivating Creatures collection, Firecracker Lacquer will be stocking some really cool nail studs priced at $1 each! Canary Cavalcade is a medium yellow jelly with holographic pigment. It has a subtle effect indoors, but it really sparkles in the sunshine. The formula was a nice consistency and reached full coverage with three coats. Flamingo Fanfare is a bright pink jelly with holographic pigment. While the holographic pigment is subtle indoors, the punchy pink really holds its own in all lighting. The formula was a great consistency and reached full coverage with two coats. I've never been one of those girls who is big on pink, but this one literally made me say "wow". Parrot Procession is a medium red crelly with holographic pigment. You really can't go wrong with this classic red. It's subtle indoors but super sparkly in the sunshine. Work appropriate? I think so! The formula was perfect and reached full coverage with three coats. All three are lovely shades. I like how subtle the holo is in these three too. I love this whole collection so much! Your swatches are gorgeous! Oh my god... I want! I want to do dirty things with all of them and Penguin Parade.